/ What Your Coffee Says About You? The studies based on the eating habits and the personality traits are discussed within the health psychology and eating habits. The topic of the article "what your coffee says about you?” is also one of the subjects that are falling in the same category. This is quite obvious to know about yourself, and the traits associated with the selection of a discreet flavor reveal many things about you. 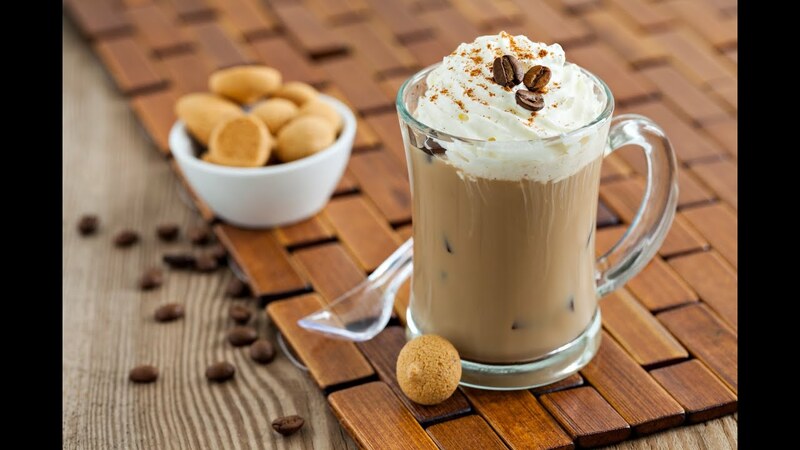 Just imagine that you are sitting with one of your clients in a meeting at a coffee shop and he orders as a particular flavor that reminds you of his linking and interest areas. It may help you to develop a rapport very easily. Types of Coffee And What They Speak about You? While discussing the types of coffee and what they say about you, we need to understand the factors that are key differentiators. The two main categories of coffee lovers are; the flavored coffee lovers and regular brewed coffee lovers. So here we go about listing the type of coffee and what it says about your personality. Congratulations, your coffee says that you are a born leader and have a unique personality. Such people are hard working and quite tough to deal with. Your toughness is admired at both workplaces and in personal life as you don’t let anybody down easily. You are the master of the arts of getting the things done as per your demands. No matter people may be a bit reluctant due to your straight forward behavior you know what you want and never compromise on that. Don’t get confused that these people are twice harder as the espresso lovers. Instead, these people are much more practical in comparison to the espresso lovers. You have the positives of espresso lovers like hard work and strength, but you also understand the importance of guidance. You don’t mind others telling about something that you don’t know. You are not going to sit under an apple tree to learn about gravitation, but will avail the knowledge that is readily available in the books. Usually, these people keep on stretching the things till it is inevitable to decide on the same. It is observed that latte lovers are generally living in the state of indecisions. You may consider them to be a bit casual in nature. These people are not worried about things and are reactive in nature. You cannot expect them to be quick and organized in their work. These people want to live in their comfort zone. They are quite imaginative and love to be in the creative fields. These people are quite sophisticated in nature and love to remain in their comfort zone alike the latte lovers, but don’t allow the others to know their feelings easily. You cannot expect these people to open up to you easily. They are quite polished in behavior and appearance. Your styles are copies of the others in your group. These are very creative people with a lot of sense of humor. These people are always full of energy and spread happiness among others. Your life is either full of adventures or you are looking to live a life that has a lot of adventures. You are a person that loves to party and wants to be with the friends most of the time. You can easily be called as a party animal. Your life is full of vibrancy and adventures. These people are quite positive in nature and make everyone happy who comes in your contact. You are full of energy and may go on talking all the time and without looking for your favorite cup of coffee for the same. You are full of affirmations; it is quite difficult for you to say a clear no to the people approaching you. These people are quite organized and punctual. It is needless to say that you don’t bother to spend your time freely. You are looking for some work all the time. You are expressive and can easily represent your views as well as convince the people with your opinion easily in few minutes. You have excellent control over your mood and emotions and no one can judge your thoughts easily. Such people are quite satisfied with their life and don’t have much to do with the hacks of life. They are not looking for expansions and want to live a simple life. You people are straightforward and don’t have much expectation from anyone. They are happy with what they have and live a minimalist life. These people can easily turn the ideas into reality, but unsure of their own strength. They are looking for constant support from others to grow. These people are often called as flickering minded and cannot stick to their ideas for long. You have a dual mind towards everything and always remain in confusion about everything. Apart you are very systematic and want to complete the things in a perfect manner that tends to make you irresistible. You use your brain and have the logic, but don’t apply it readily and keep on analyzing the things. These are the most popular types of coffee across the globe. The coffee lovers that use to have a particular type of coffee every day quite resemble the traits that we have discussed in the article. It can really be a fun to enjoy the coffee and analyze the traits that you may observe. It can be easily checked. Just remember who your friend is having the coffee from the types listed above and match the traits that your friend has. You may easily find that the studies are on the correct path. Needless to say that you may have insight about people by knowing their type of coffee same like body the language. Don’t forget to tell us about the type of coffee and your reading about coffee lovers in the comment. Emmy Do is a Beauty and Skincare Advisor and an independent Researcher of skincare and DIY beauty at Be Young Aholic. She has contributed to various well-known websites, having a good experience in the beauty industry. Read her latest article here.